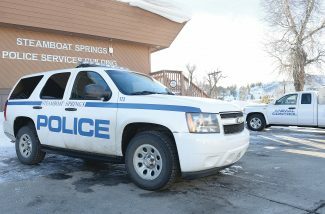 12:06 a.m. Steamboat Springs Police Department officers were called to a reported drug violation at Colorado Mountain College. 5:29 a.m. Officers were called to a report of a suspicious incident in the 2800 block of Riverside Plaza. 10:34 a.m. Officers were called to a reported assault at a bar in the 600 block of Lincoln Avenue. 10:39 a.m. Officers were called to a reported threat at a restaurant in the 10 block of Eight Street. 10:59 a.m. Officers were called to a report of criminal mischief in the 2700 block of Cross Timbers Trail. 11:19 a.m. Routt County Sheriff’s Office deputies were called to a report of criminal mischief at Routt County roads 129 and 60 in Clark. 11:49 a.m. Officers received a report of harassment in the 3300 block of Covey Circle. 3:24 p.m. Deputies were called to a reported animal bite in the 33500 block of Routt County Road 43A. 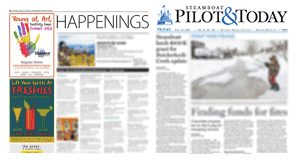 10:32 p.m. Deputies were called to a report of a suspicious person near mile marker 124 of U.S. Highway 40 west of Steamboat. 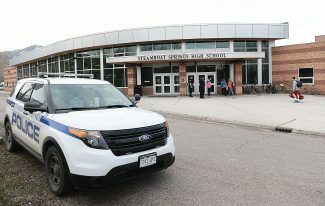 • Steamboat police had 21 cases that included calls for service and officer-initiated incidents such as traffic stops.